1) After sun exposure, be sure to keep the skin moisturized and cool with an after sun lotion or my favorite, Aloe Vera. This pure, natural, moisturizing gel is perfect for that and my favorite has been from this brand, Jason Natural. 2) When you're skin is exposed to sun, it tends to be dry. I would suggest doing some exfoliation while you're in the shower, but with a softer/gentler exfoliator that isn't as harsh on the skin (a couple times a week). This body scrub from Bath and Body Works and The Body Shop are perfect for this and they both have hydrating effects. Also, avoid waxing your body if you can help it since waxing will make your glow fade quicker by removing that top layer of skin. I would suggest shaving or using an epliator to remove any unwanted hair. 3) Hydrate Hyrdate Hydrate! While you're in the shower, avoid hot water since it will dry out your skin. I like keeping as much moisture in my skin so each step I do in the shower uses products that will help this. I will use a cream or oil based cleanser (like this L'Occitane shower oil with almond oil) to cleanse my skin on a daily basis. I have also been obsessed with moisturizers that you put in the shower such as Lush's Ro's Argan Body Conditioner or my new favorite, the Jergen's Wet Skin Moisturizer. Both have the same concept, but I find the Jergen's one to be a bit better since you don't have to rinse it off after you apply it. 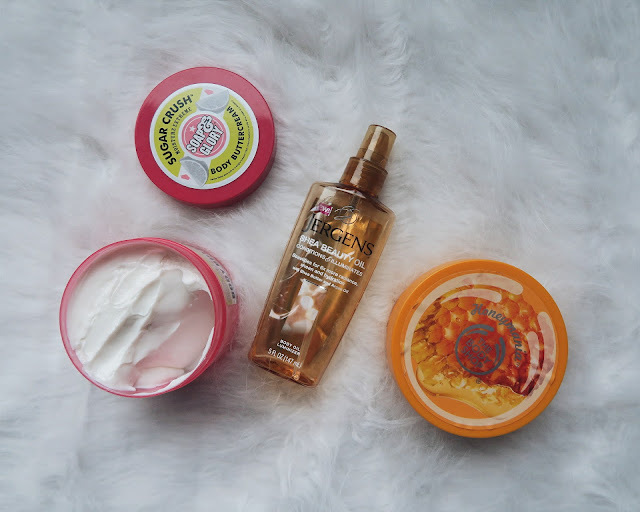 These products are meant to be the last step you take in the shower to lock moisture into your skin. And then of course, you could stop there, but I do take the extra step to put on some body oil (Jergen's Shea Beauty Oil) or body creams and butter (Soap & Glory Sugar Crush Body Buttercream or The Body Shop's Honeymania Body Butter) to add another layer of moisture and to really lock the color on my skin and keep it from being dried out. 4) If you want to maintain or extend your color even longer (or get some color in the first place! ), opt for either a Tan Towel or gradual tanning lotion. I have found great success with Tan Towels and I find them easy to use, just be careful when you apply it since it can cause streaking if you aren't careful. Also, tan towels that are meant just for your face, such as the Tarte Brazilliance facial towelettes, is another way to safely add some color to your face. The Jergen's gradual tan lotion is also great for building up color evenly. Tanning mousses are another great way to keep color on your skin, and the best part, you don't have harsh sun rays or tanning beds to damage your skin! This one from Vita Liberata works incredibly well, is streak free, and offers and nice, natural looking color. Now to keep your body glowing from within, I'm all about eating healthy foods and adding super foods to your diet to allow your body to be healthy. Besides drinking a lot of water to stay hydrated, here are some recipes and food ideas to keep that body healthy! 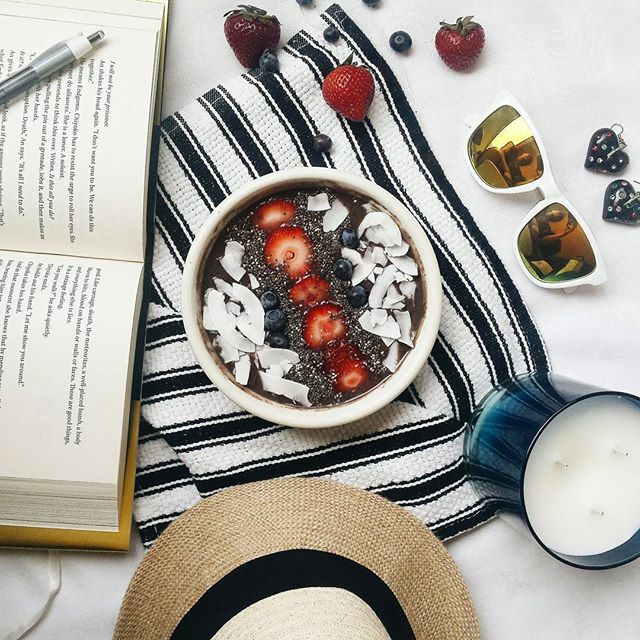 1) Acai Bowl: These easy to make smoothie bowls are packed with superfoods and antioxidants and can be catered and made to your own taste, especially the toppings! I have a recipe HERE for an Acai Bowl and as long as you have the base, you can pick and choose the toppings to your liking! 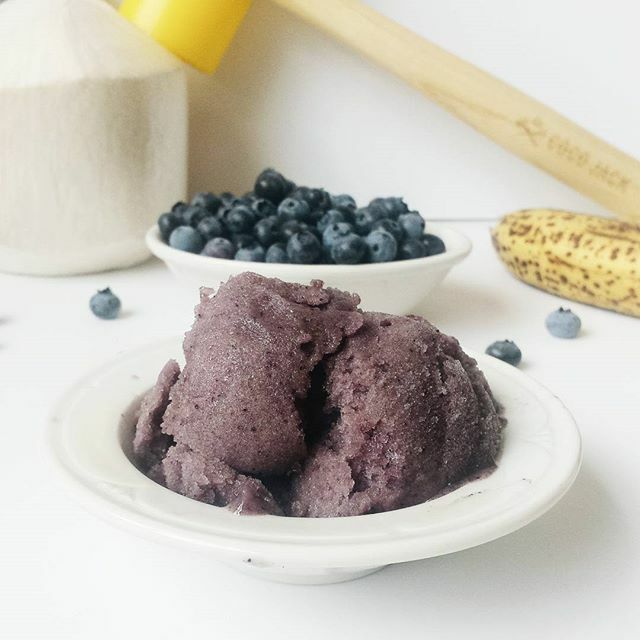 2) Blueberry 'Nice' Cream: This simple faux ice cream recipe takes only 3 ingredients and is delicious and perfect for a sweet treat. Blueberries are high in antioxidants and also are packed with vitamin c. The banana and coconut water are also good for you too =). Check out the recipe HERE. 3) Avocado Toast: There's really nothing more I can say here besides the fact that I am a huge fan of avocado toast. Avocados are rich in good fats and packed with nutrients. I'm sure you can google all the benefits avocado have in them and the benefits will go on and on! 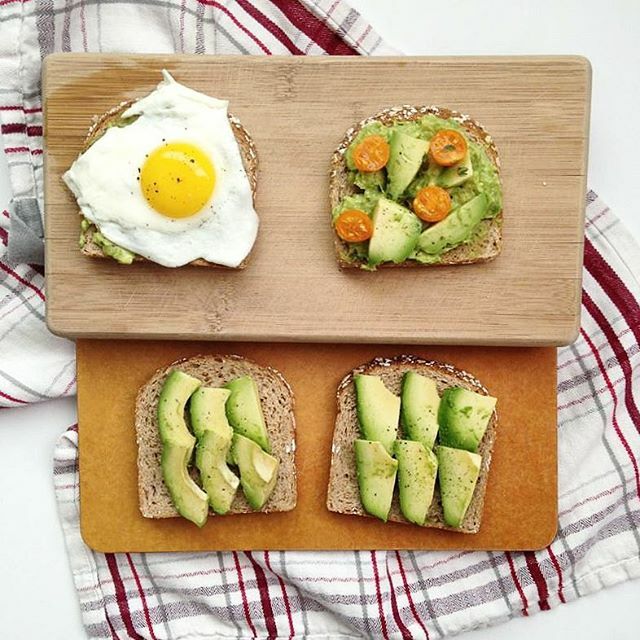 I like to prepare mines on whole sprouted grain bread, from Dave's Killer Bread, or Ezekial Bread and add a bit of grounded Himalayan sea salt and coarse black pepper to the base and you can eat it as is. OR, you can take the extra step and add some toppings, my favorite being an egg over easy! Eggs are also incredibly nutritious and an excellent source of protein. 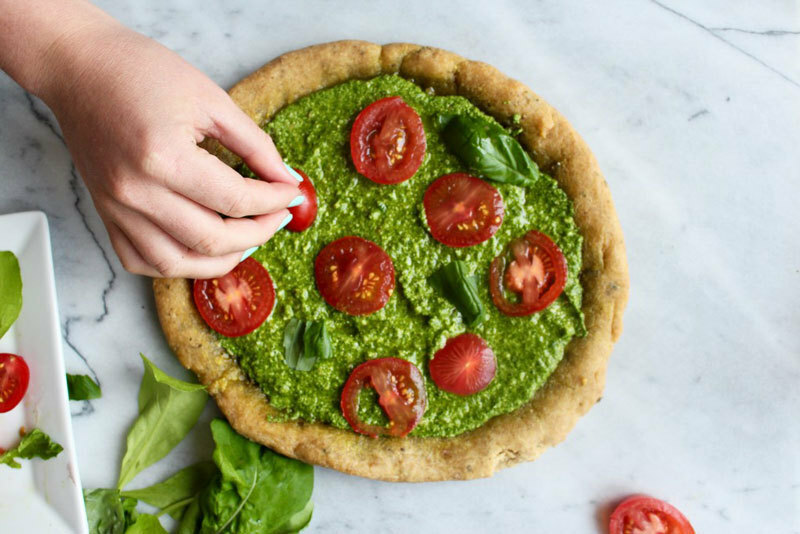 You can also add other veggies to them such as tomatoes, basil, radishes, grilled veggies, etc etc. The list goes on! 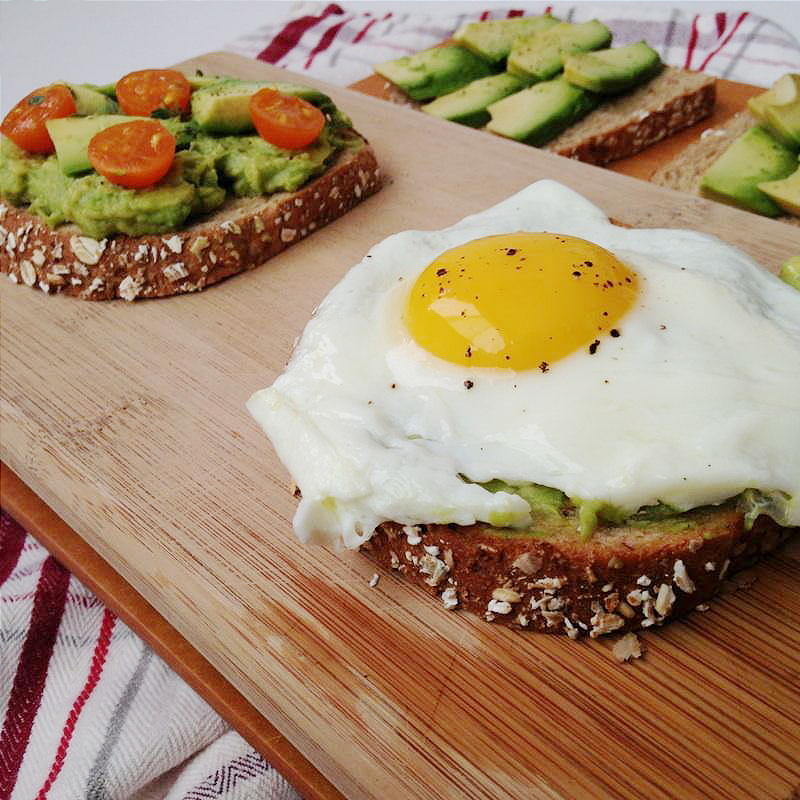 This is a quick and easy meal/snack that is not only tasty, but definitely good for you. 4) My last personal food tip would to be to eat fruits that are in season. Depending on where you live or the climate you're surrounded by, try to eat fruits that are naturally grown in your current weather conditions to get the full benefits of them. 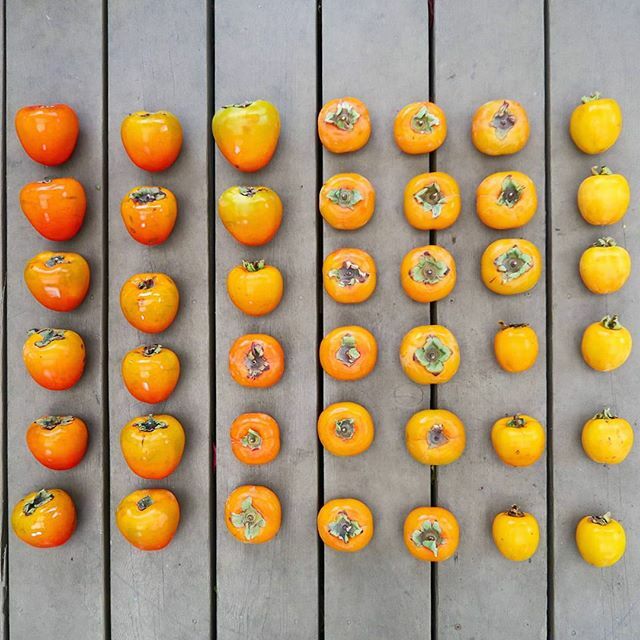 For me, it is persimmon season around where I live and persimmons are definitely one of my favorite fruits! There are tons of recipes out there that utilize them and you can even use them as toppings in your salad. However, my favorite ways to eat them is just as is and to enjoy their natural sweetness. Persimmons are rich in nutrients, vitamin c, and minerals and also a good source of fiber. It is definitely a fruit that will help you glow from within. To read more benefits of persimmons, check the information HERE. ALOHA also has a lot of great recipes that I had do share with delicious foods that are healthy and good for you. Here are a couple of my favorites! I hope you all enjoyed this post and can take inspiration from some from some of these skin care tips and food recipes to help you glow from within! Let me know if you have any skin care tips for glowing skin, or if you have some favorite recipes to share as well!